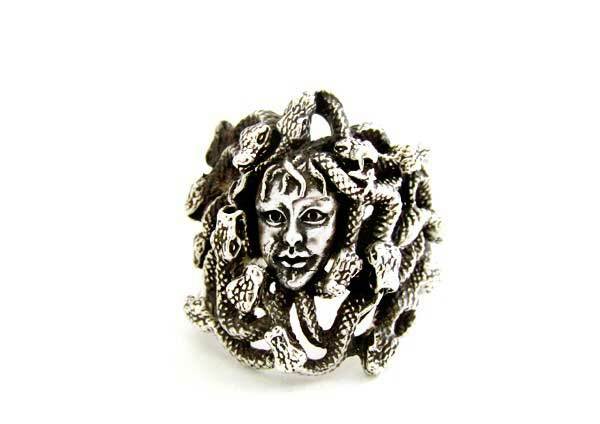 Medusa ring in sterling silver. Greek Mythology’s monster Medusa, is well known, as a Gorgon with living snakes in place of hair. A single look at her eyes is enough to turn everyone into stone! Hero Perseus beheaded her and uses the head as a weapon until he gave it to Goddess Athena to put it no her shield. Medusa’s head represents rebirth and freedom. 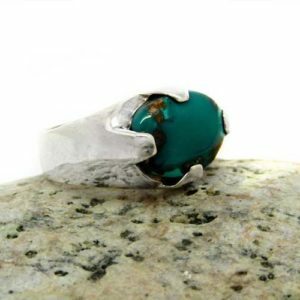 A beautiful, strong ring, out of the norm, for men and women. 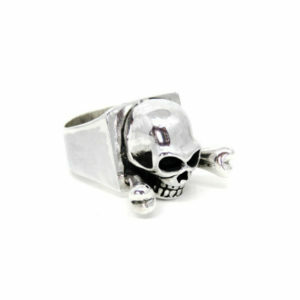 Get this amazing ring for yourself or make a memorable gift to someone you love! 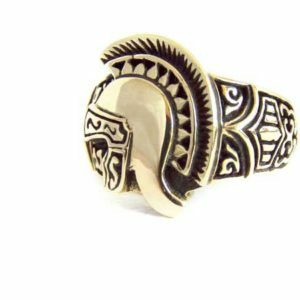 All Tsirikaua products are gift ready, and travel safely to you via Hellenic Post priority mail, with tracking number in a secure envelope. Your ring will be ready to ship in 3 up to 5 business days. 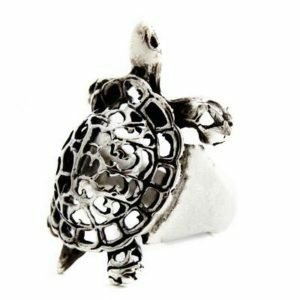 You will also receive care instructions and a special polishing cloth for silver. Please, contact us for any question you may have. We will be very happy to help you!